Meliora is providing structural and civil design services to support the total replacement of the existing overhead contact system (OCS) and catenary structures within SEPTA’s Powelton yard. There are also numerous additions to the track alignment that requires new retaining walls and support structure modifications. Meliora is providing a structural assessment and report for the numerous (approximately 42) existing retaining walls as well as repair plans and details. There are several new walls being designed to replace badly deteriorated walls ands to provide support for new tracks. A stormwater management/drainage assessment and report was also provided. 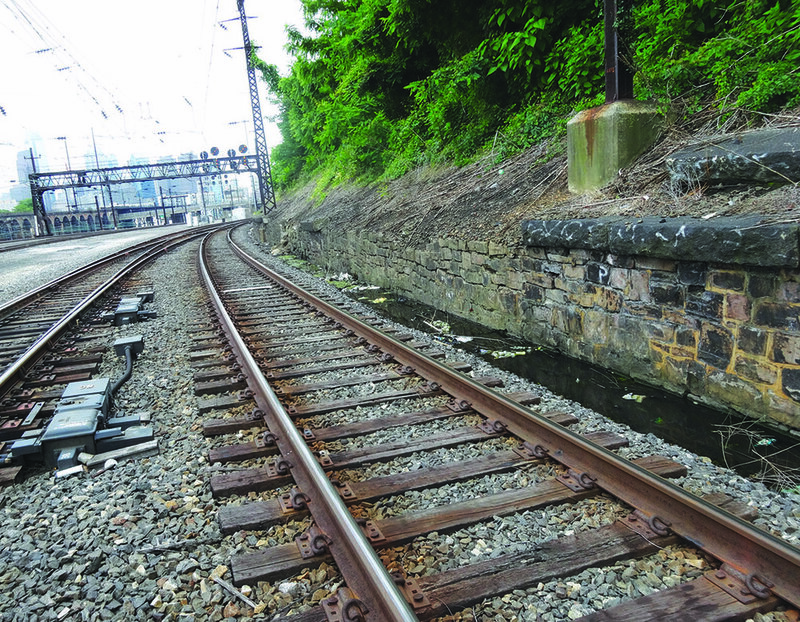 Plans and details are being developed to mitigate drainage and slope stability issues, which have the potential to impact railroad operations. Meliora is also preparing permitting applications for Philadelphia Water Department (PWD) and Pennsylvania Department of Environmental Protection (PADEP) submissions.